Book multi centre Miami holidays and make the most of your time away seeing completely different places as you go. 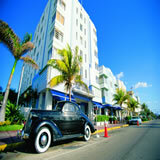 Twin or multi centre Miami holidays are great for enjoying both amazing cities and idyllic beaches. The sun-kissed city of Miami boasts great restaurants, gorgeous Art Deco architecture and a pulsating atmosphere. Add in the fantastic beaches the nearby Everglades and you get a fantastic holiday destination. 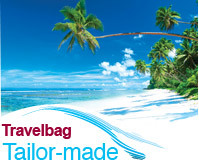 If you are considering a twin centre or multi centre holiday that includes Miami then you have come to the right place - we specialise in tailor making holidays that offer both great value and a fantastic time away and with extensive knowledge of Miami and the US we can put together your holiday of a lifetime. Booking a multi centre holiday to Miami can include stays in Orlando, New York, resorts in the Caribbean or anywhere else you would like to visit. Our most popular multi centre holidays to Miami include stays in Orlando or New York but the world is your oyster and wherever you choose to visit we can put together a holiday perfect for you. We have a fabulous collection of multicentre holidays to Miami in 2017 including last minute bargains, holidays throughout the summer and winter sun getaways later in the year. We also have a fantastic range of twin and multi centre holidays to Miami in 2017 so if you are planning for next year book as early as possible for the widest choice and lowest prices. With a wide selection of cheap flights to Miami being offered by airlines you may be surprised how inexpensive a multi centre Miami holiday can be. Take a look at our multi-centre special offers to Miami below or contact our travel experts for more information. We are here to help plan your perfect multi centre holiday to Miami and with extensive knowledge of the cheapest flights, best hotels and fantastic trips and tours our travel experts will help plan a break that is unique and personal to you. We also have a wide range of centred package holidays to Miami and great room rates at popular Miami hotels and a whole host of other packages so all your Miami travel needs are covered. Creating Miami holidays is our speciality and here are just a few of our cheapest multi-centre trips. 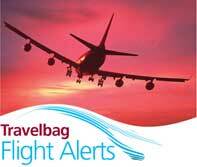 Please call one our Travel Consultants to tailor make your perfect trip.